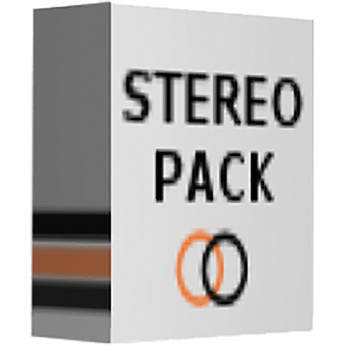 Stereo Pack from NuGen Audio is stereo enhancement plug-in bundle that facilitates widening or reducing the stereo image, focusing and defining low frequencies, and moving specific captured spectra within the stereo soundfield. All three plug-ins are mono-compatible, using algorithms that maintain the original character of the source audio without introducing phase, reverb or delay related artifacts. Stereoplacer from NUGEN Audio is a frequency dependent pan control plug-in that can be used in mixing, mastering, post production and more. It is compatible with Mac and Windows and requires use of a host program that supports RTAS, VST or AU plug-ins. The Stereoplacer plug-in works by allowing you to separate the different frequency ranges of mono or stereo audio files in to discrete bands. It then gives you spatial control over these bands, allowing you to independently reposition them within the stereo field. Stereoplacer can be used for fixing problems in mixing and mastering, or it can be used creatively in sound design, sample tweaking and more. For example, you can improve upon stereo recordings such as drum overheads that suffer from poorly placed microphones. By repositioning the problem areas in a frequency specific fashion and leaving the rest of the recording intact, you can help to create a more balanced stereo image. It can also be used on problematic samples to help you showcase desired elements of the sample's mix by allowing you to pan unwanted frequencies away from the focal point. Similarly, it can be used in sound design to highlight desired elements of harmonically complex synth sounds. The Stereoizer by NUGEN Audio is a stereo image manipulation plug-in that can be used in mastering, mixing, sound design and other applications. It is compatible with Mac and Windows and requires use of a host program that supports RTAS, VST or AU plug-ins. The Stereoizer plug-in is intended to give you control over the stereo spread and depth existing within stereo tracks, and also to add width to mono tracks. It is designed to manipulate the stereo image yet maintain a natural sound without adding unwanted artifacts into your mix. The software does this by utilizing specialized algorithms that are designed to manipulate two naturally occurring localization cues that the ear uses to perceive location - IID (Inter-aural Intensity Difference) and the ITD (Inter-aural Time Difference). The Stereoizer is intended for use in various ways over a wide spectrum of applications. Use the Stereoizer to distance clashing elements of a mix from one another within the stereo field. Use in mastering situations to add subtle width enhancements to the mix without sacrificing low end focus. Use in mixing or sound design to add width to synth pads, making them more noticeable in the mix without being overbearing. Windows and Mac compatibility, plus RTAS, VST and AU compatible for support with major DAWs . Monofilter from NUGEN Audio is a bass mixing plug-in that can be used to enhance the bass in your mixes by helping to center them in the stereo field, to correct low frequency phase issues and more. The plug-in can be used on mono or stereo tracks for mixing, mastering, enhancing vinyl samples and more. Phase issues in the low end of a mix can be caused by stereo mixing effects such as delays and choruses. Also, if samples with phase issues to begin with are used in the production, phasing can be present your mix as well. This can make the bass frequencies in your mix sound hollow or weak. To improve upon this, you can add Monofilter to your mix groups or effects returns and use the phase control parameter to align the phase of the low frequencies in the left versus right channels. In addition, Monofilter has a crossover function that allows you to split an audio signal into two frequency bands for separate processing. This function, for instance, would allow you to separate the bass frequencies in a stereo file, mix them in mono, and process them by themselves. On the other hand, the frequencies above the threshold frequency could be mixed in stereo and processed separately. This can yield a more focused low end and ultimately a stronger, clearer mix.